The 32V MEGA® Fuse Series is designed for high current circuit protection up to 500 amperes. with “Diffusion Pill Technology”. The MEGA® Fuse also provides time delay characteristics. 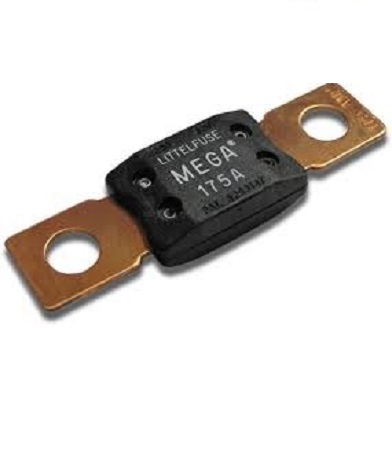 Designed and patented by Littelfuse, the MEGA® Fuse is ideal for battery and alternator protection applications and other heavy gauge cables requiring ultra-high current protection. Use the options in the dropdown menu below to select the Amp rating required. Mega Fuse available in ranges from 60A up to 500A. Ideal for applications involving high current and low amperage.